Calling all R!OT students! Come out to our St. Catharines location for some for winter laser tag fun with friends, as we shut down the church, turn off all the lights, and run around like MAD! Have you ever been hit by a laser before? 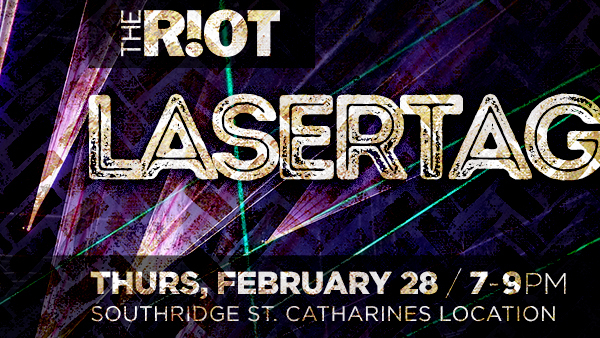 Caution: Get ready for some real laser action (but not actually). Please bring $5 to help cover the cost. We’ll have some snacks (obviously), and drinks so that you can stay hydrated and ready to attack! We look forward to seeing you all there!